Attended by a host of important figures from the women’s game, the evening included a range of awards from Vauxhall England Player of the Year to WSL Player’s Player and Manager of the Year. The awards also recognised work away from the elite level, with the Contribution to Women’s Football and the #WeCanPlay Grassroots Participation Awards. The #WeCanPlay campaign was developed to help girls realise that football is a sport for them, and to recognise the success of grassroots football development programmes. 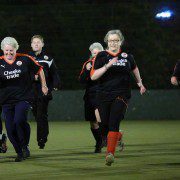 Crawley COGS (Crawley Old Girls), is weekly session for ladies aged 40 and over organised by Crawley Town’s Community Foundation. Carol Bates, who has been an influential figure in the success of the COGS programme, said: “I was incredibly proud to be able to receive the FA’s “We Can Play” Participation Award, with Amy Fazackerley and Marcus Doyle from the club’s Community Foundation, on behalf of the Crawley Old Girls. “It was an absolute privilege to be in the company of some of the most influential women in English football, including some of the England team who were very interested in the Crawley Old Girls and what we do. “To be given the award by FA Chairman Greg Clarke shows how far we have come since our first session, with ten ladies, in April 2015. 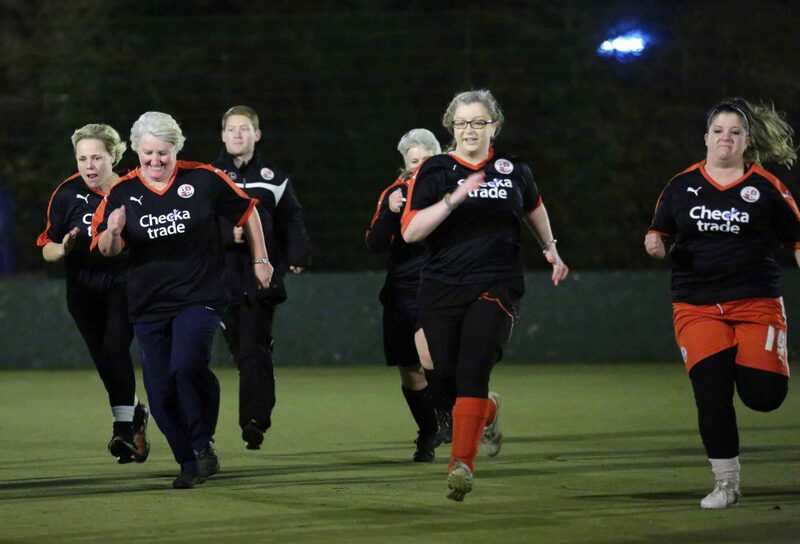 The focus on the “generation that football missed” has led to over 40 women being registered for our Thursday sessions and as it’s been so popular that the Community Foundation have obtained funding to enable a beginners session to be set up, for ladies who want to learn to play football. 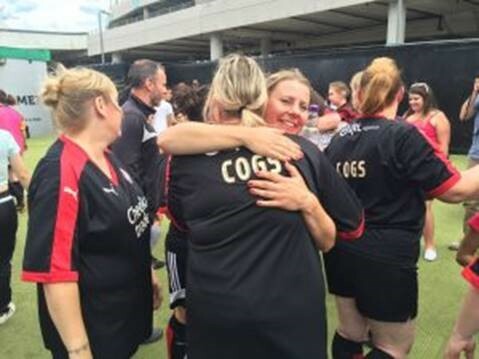 “This new session has also been a great success in bringing in more ladies and the knock-on effect, as well as hard work from everyone involved to spread the word, has led to other EFL clubs taking on sessions for “old girls” and a first ever over-30s tournament was held by the EFL Trust last July. As well as collecting their trophy at Wembley, the COGS will receive a visit from an England women’s international, as well as a session from a member of the England coaching set-up.